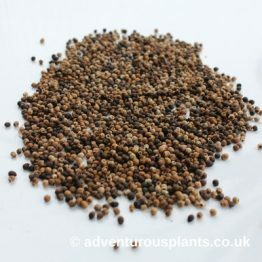 We specialise in growing tuberous Aroids and have a wide range for sale. Availability is seasonal and tubers are dispatched during their dormant period. 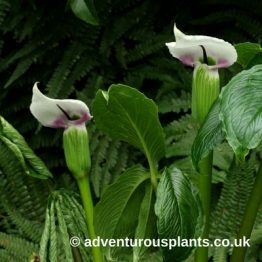 Our range includes Arisaema, Amorphophallus, Arum, Colocasia and Zantedeschia as well as numerous other genera. In particular, we grow many Arisaema and during their dormant season have an extensive range of Arisaema for sale. 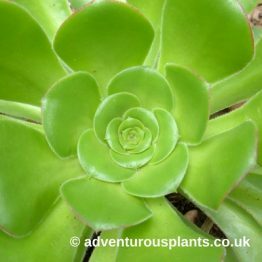 We also supply a steadily increasing range of unusual succulents, ferns, palms and other rare plants and seeds. The shopping cart will calculate your shipping rates automatically. For more information about our shipping rates please click on the 'Shipping and Postage Info' tab at the bottom of each plant description.